WHDC funds nonprofits to preserve, rehabilitate and create sustainable affordable income housing to help continue a successful urban environment. Artist rendering of a 100% 39-unit affordable housing in West Harlem by BRP Companies. WHDC considered partnering. 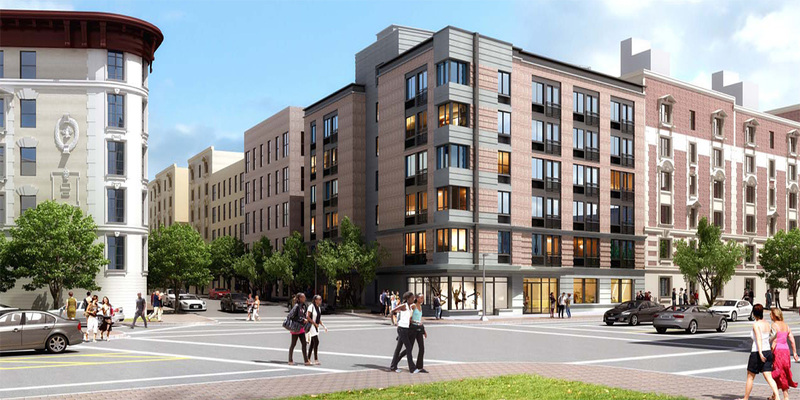 WHDC looks to invest in developing affordable housing in response to the fast disappearing housing stock for low-to-middle income residents of MCD9. The scarcity of land with attendant stratospheric prices have slowed WHDC’s efforts. In 2017, WHDC made two serious attempts towards affordable housing development. One of these resulted in BRP Companies undertaking to build 39 units of low-income rental units in MCD9. In the meantime, WHDC launched a Homeownership Assistance Program. WHDC will lend qualified tenants in city-owned properties to acquire their units at zero percent interest.